Grant Holloway has never been short of options. As a four-star wide receiver, Holloway received recruiting interest from Georgia, Clemson, and Virginia Tech, among many other football programs. On the track, he broke the national record in the 60m hurdles and won the pentathlon at indoor nationals. With the variety of accomplishments came interest from football and track coaches. As a talented dual-sport athlete, Holloway had big decisions to make. Would the Chesapeake, Virginia, native pursue his dreams on the gridiron, would he follow his passion on the track, or would he attempt to be great in both? For Holloway, the decision was simple. "It all boiled down to where I saw myself in 20 years and who was going to be the best person to get me to where I want to be," Holloway told FloTrack. "Everybody knows that my dream is to be an Olympic champion, and I feel like [University of Florida track and field coach Mike Holloway] can get me there." In November 2015, Grant Holloway announced that he would sign with the track team at Florida with the option of walking onto the Gators football team. The decision shocked the college football world, which took notice of Holloway's unmatched speed on the field. In his senior season at Grassfield High School, Holloway had 35 catches for 826 yards and 10 touchdowns in 11 games. He also clocked a blazing 4.32 in the 40-yard dash at the Rivals Combine Series. Holloway was ranked No. 59 among wide receivers in the class of 2016 on ESPN's recruiting database. Every wide receiver ahead of him in the rankings committed to play football in the NCAA, which highlights just how unique Holloway's decision was among his peers. 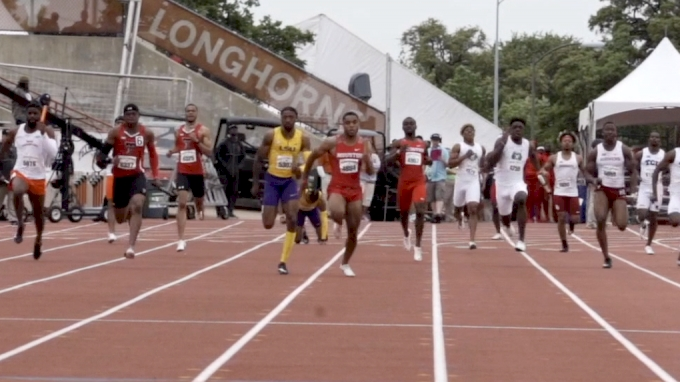 Many talented dual-sport athletes before Holloway committed to football first and competed in track -- Jeff Demps, Trindon Holliday, Jamaal Charles, and Marquise Goodwin, to name a few. The financial future in each sport is vastly different. If Holloway committed to play football at Florida, he could have made it in the NFL, where the minimum rookie salary is $450,000 per year and increases depending on a player's years of experience and success. While track and field salaries are not always public, sponsorship deals are more difficult to earn and vary among the talent and event group. After earning a bronze medal at the 2015 world championships, sprinter Andre De Grasse signed a multi-year deal worth a reported $11.25 million with bonuses that could be as high as $30 million. But De Grasse's case is on the highest end of the pay spectrum while the majority of track and field athletes earn much less and can go long stretches without having a sponsorship. But for someone who has dreams of becoming an Olympian -- a reasonable goal for someone of Holloway's talent and potential -- track was the only thing on his mind. 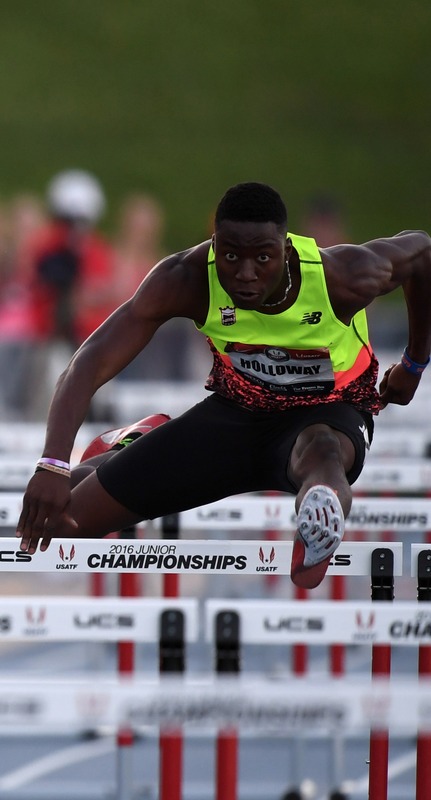 When Mike Holloway received the call from Grant telling him that he wanted to focus on track as a member of the Gators squad, Holloway happily supported him. He had just received a commitment from a recruit who won 16 Virginia state individual titles in events ranging from the long jump to the 300m hurdles. Grant is currently on the national all-time indoor top 10 list for the 500m, 55m hurdles, 60m hurdles, long jump, and pentathlon. As Mike Holloway says, "His potential is unlimited." "He called me and told me he wasn't going to play football," Mike Holloway said. "I told him if that was his decision, I was going to support it. I never once said to Grant that he shouldn't play football. "As a coach, my number one job is to help these young people reach their goals and dreams in life. If Grant's dream was to play football and run track at the University of Florida, I would help him achieve that, and so when he called me and said he changed his mind -- that he wasn't going to go out for football-- I supported him." In fact, Mike Holloway turned down any additional questions about Grant's football prowess, saying, "I do not want to talk about football. 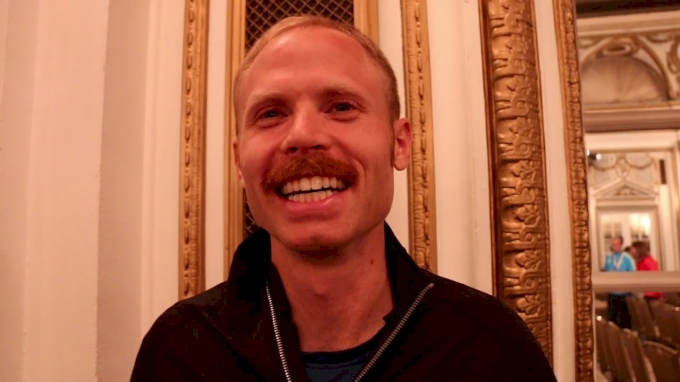 Grant is a track and field athlete." As a fellow track fan, I can appreciate the focus. Now a freshman at Florida, Grant Holloway competed in his first collegiate indoor meet last weekend and already catapulted onto the all-time lists. At the Orange & Purple Classic in Clemson, South Carolina, he ran 7.63 to win the 60m hurdles final. According to FloridaGators.com, the mark is the fastest pre-NCAA indoor championship time run by a freshman since at least 2002. It is also the No. 2-ranked mark on Florida's all-time list. An hour and a half later, Holloway won the 300m sprint in 32.80, which is the second-fastest time by any man in history prior to turning 20. In fact, Olympic gold medalist LaShawn Merritt is the only man to run faster before turning 20 years old. 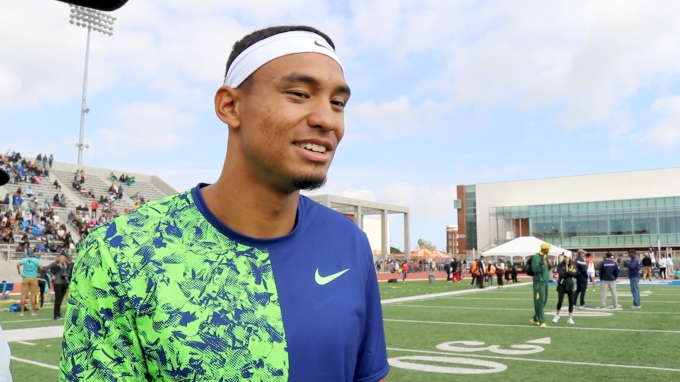 Holloway beams when talking about the team and coaching staff at Florida, where he gets to work with famed jumps coach Nic Petersen and hurdles coach Adrain Mann. Along with his talented training partners of the No. 1-ranked UF squad, Holloway gets to work with world indoor champion and alum Marquis Dendy. It's an environment that has produced Olympic and world champions -- right where Holloway wanted to be. Although Holloway misses football at times, he has no regrets when it comes to choosing track and has no plans to go out for the football team. He attended several games this past fall and admitted, "I miss it, but I know at the same time that I made the right decision." Fellow dual-sport talent and friend Devon Allen is familiar with the difficult decision of choosing one sport over the other. Allen even gave Holloway a tour of the University of Oregon's facilities while the recruit was on an unofficial visit in June 2015. A four-star wide receiver prospect himself, Allen committed to Oregon on a football scholarship with the option of competing on the track team. 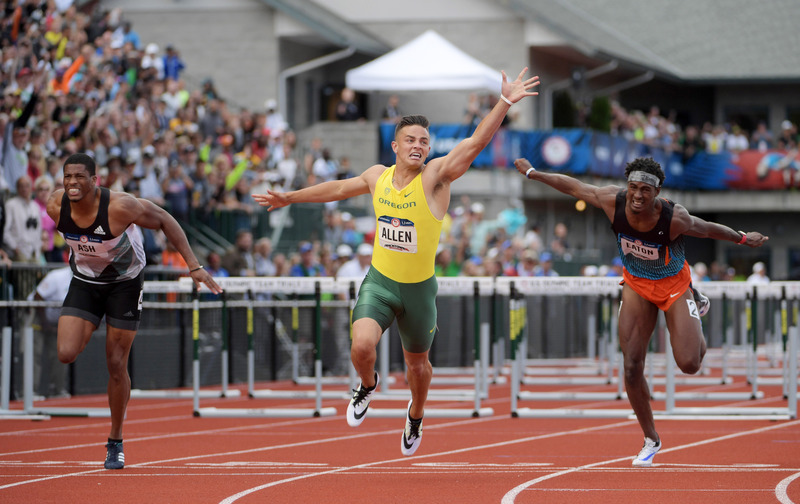 Allen won NCAA and U.S. titles in the 110m hurdles as a freshman but later suffered a torn ACL while playing for the football team in the 2015 Rose Bowl. He returned to the track in 2016 to claim NCAA indoor and outdoor titles and win the U.S. Olympic Trials. In Allen's first Olympic Games, he placed fifth in the final, but in September he suffered from another torn ACL in a game against Nebraska. After two ACL surgeries and two spots separating him from an Olympic medal, Allen made the decision to forgo his remaining football and track eligibility in favor of a professional track career. In November, Allen announced his decision to focus solely on track with the hope of one day returning to a football career. 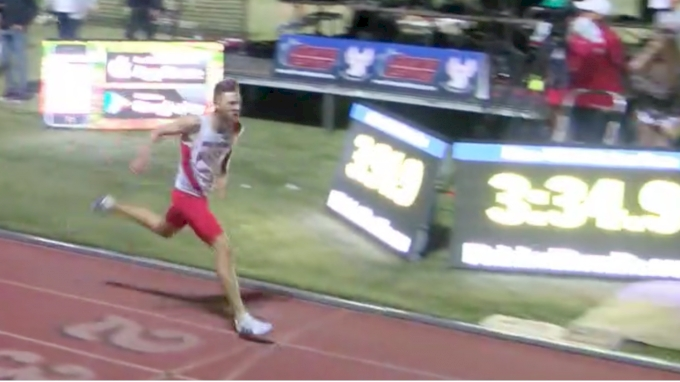 "It was in my best interest to put the football cleats away for a couple years so I could maximize on my track ability right now and give myself the best opportunity to compete," Allen said. "It's frustrating trying to come back from injury every year. Luckily I did last year, but every year is just kind of tough. I'm seeing all of these professionals train year-round, stay healthy and run fast. I can do that if I just give myself a chance." Allen came to the conclusion of focusing on track later on, while Holloway made the decision upon entering college. Ultimately, the decision -- no matter the sport -- is up to the athlete and the goals they want to pursue. Luckily for track fans, Allen and Holloway have remained in the sport and could potentially become rivals in the hurdles. "We were expecting him to be at the Olympic Trials in the hurdles based on how fast he was running, but he's flying this year," Allen said. "Hopefully he keeps competing well. 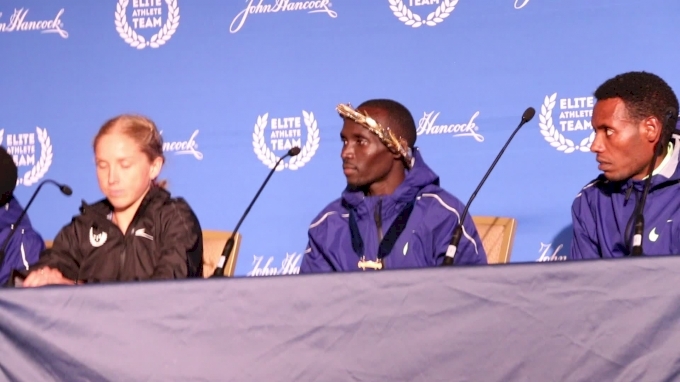 I look forward to seeing him at USAs." Between the hurdles, the long jump and the sprints, Holloway has given himself many options for success this season. And he is willing to do whatever it takes to achieve his dream of one day becoming an Olympic champion, even if that means making the hard decision of giving up a sport. Coach Holloway said it best: "We need to let Grant Holloway be Grant Holloway." As a track fan, I can't wait to see what that entails.